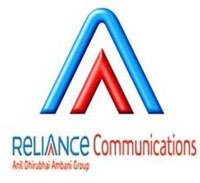 In a move that would benefit the user's of Delhi and NCR regions, Reliance Communications (RCom) has rolled out a STD offer pack which will enable RCom user's to make STD calls at just 39 paisa per to any network. RCom, part of the Anil Dhirubhai Ambani Group, has introduced the new pack to cater to demand of its user's heavy for the forthcoming festive season. Commenting on the introduction of the new pack, Sanjeev Govil (RCom Circle Head, Delhi) said: "This unique STD pack, available across Delhi and NCR, is specially designed for Reliance Mobile GSM subscribers considering the high STD usage during festive seasons and will be available at a minimal cost of Rs 39 carrying a validity of 30 days from the date of recharge." To avail this offer, the user needs to recharge with Rs 39. The pack will allow 100 STD minutes with 30 days validity. Notably, market leader Airtel had recently launched a pack which offered its users Airtel to Airtel calls @ 50p/min.